This morning was a low one, little things just make you sad all over about the loss of someone, you know? 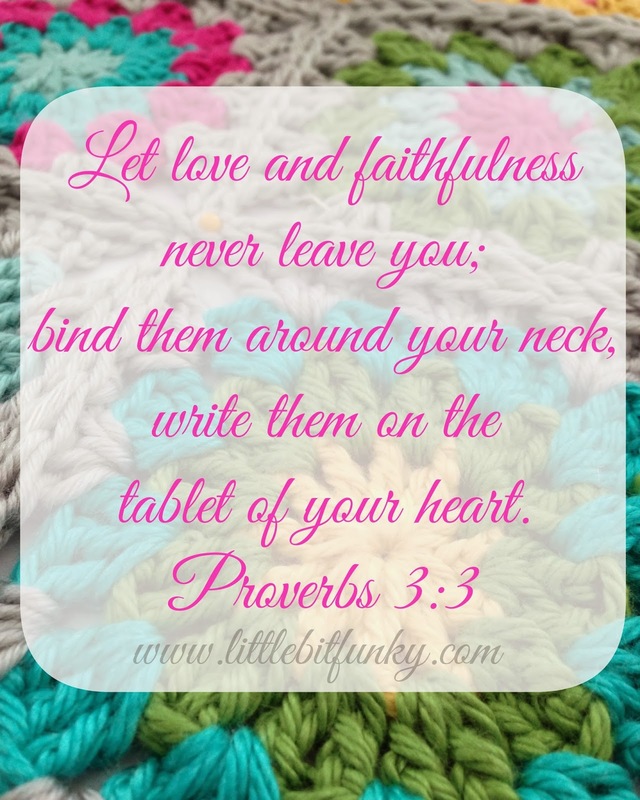 As I pondered what to make for today's printable I found this verse and thought it was perfect. A lovely legacy for anyone, is to bind your love for them around your neck and onto the tablet of your heart. Grandpa did that a lot, for a lot of people. He is sorely missed by many. We got back early this week from attending his memorial service. It was tough and numbing and surreal. Good but hard all at once. I don't think any of us are quite used to the idea that he won't be back. I know it will take me some time to get through the process of grieving him and even then, I am sure fifty years from now something will make me miss him all over again. His life has encouraged me to live my own in such a way that it makes a difference to others, to live more selflessly and with a servants heart. We can all do a little better at that, can't we? Here's to Friday, a fresh weekend and 27 days until spring! You can get the un-watermarked version of today's printable HERE. Enjoy!